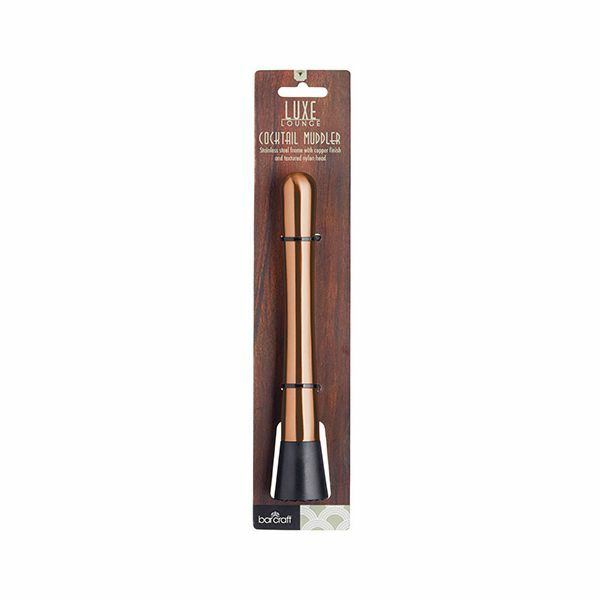 This stainless steel copper finish muddler is used at home when preparing drinks. 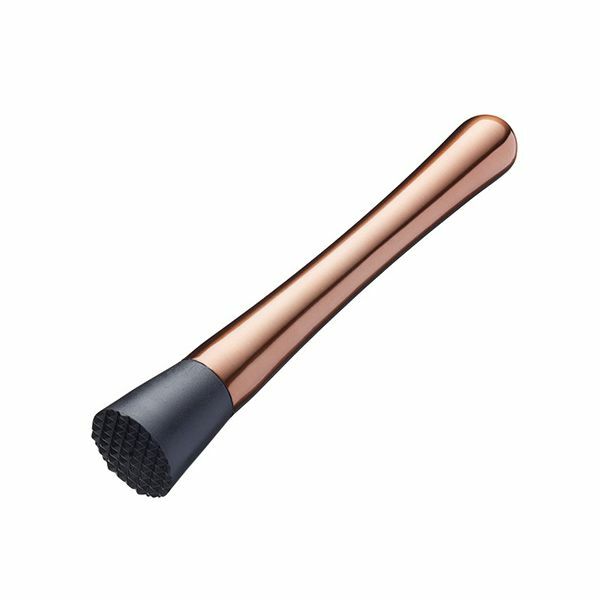 Used for mashing fruits, herbs and spices for your exotic cocktails. The nylon head if durable and strong for the task in hand. Makes the perfect gift for any cocktail lover.